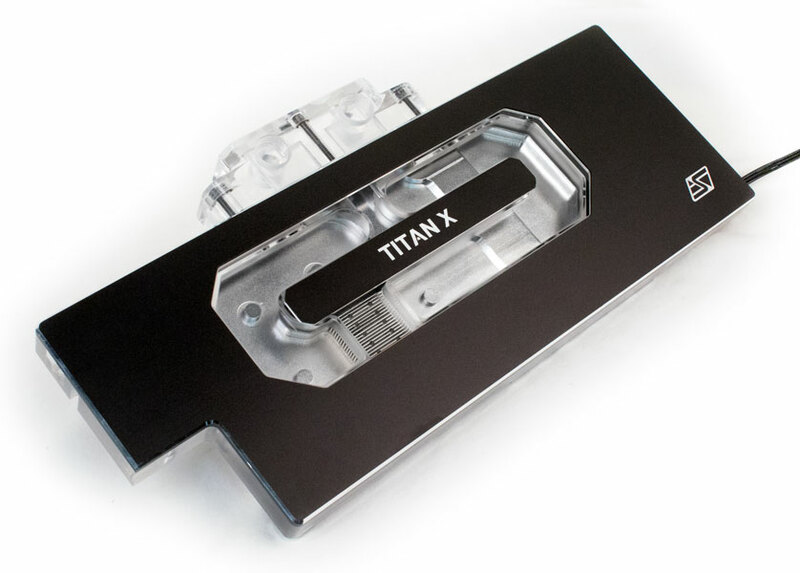 The Komodo™ NV-LE GTX TITAN X full cover waterblock is a high performance cooling solution with advanced thermal design and low flow restriction, compatible with Nvidia's GeForce GTX TITAN X ("Pascal" architecture) graphics cards and GeForce GTX1080 TI. This model is part of the "Luxury Edition" series of VGA waterblocks, focused on smooth and streamlined elegance, and it includes our RGB ALED lighting system compatible with all versions of Swiftech's X2 series CPU coolers. This allows users to unify the color scheme of their entire cooling system at the push of a button. The product ships with all necessary accessories to implement the lighting system. 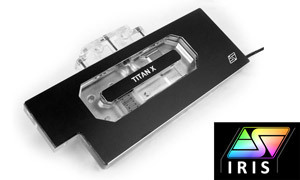 A new PWM signal extension cable is also included with this waterblock; when connected, it allows the graphics card own PWM signal to control the speed of other PWM compatible devices in the liquid cooling loop, such as fans and/or pump. This feature is especially useful to regulate noise & cooling in systems featuring discrete VGA cooling loops. The block housing and bridge are made of high quality acrylic material, allowing the back lighting system to shine through the edges of the block, the coolant window, and the bridge; the base plate is made of chrome plated C110 copper with pre-installed thermal pads; the housing surface is dressed with a black anodized aluminum top plate featuring a central cutout to show the coolant flow path, and highlighted beveled edges; the housing top plate is mirrored by a similarly finished back-plate, protecting and beautifying the back side of the graphics card. The new ALED technology allows users to change the lighting color scheme at the push of a button, using the included light controller, and is demonstrated below (Komodo GTX1080 version). 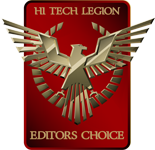 Why is the Komodo NV-LE a superior cooling solution ? The only true full cover water-block The blocks cover the full length of the card and utilizes all the original circuit board mounting points; this results in superior thermal interface with all the components, but more importantly it prevents bending and/or damage to the card compared to many competing solutions that leave critical components exposed for cost saving purposes; the Komodo NV-LE series continue this exclusive Swiftech® initiative as a true professional solution. 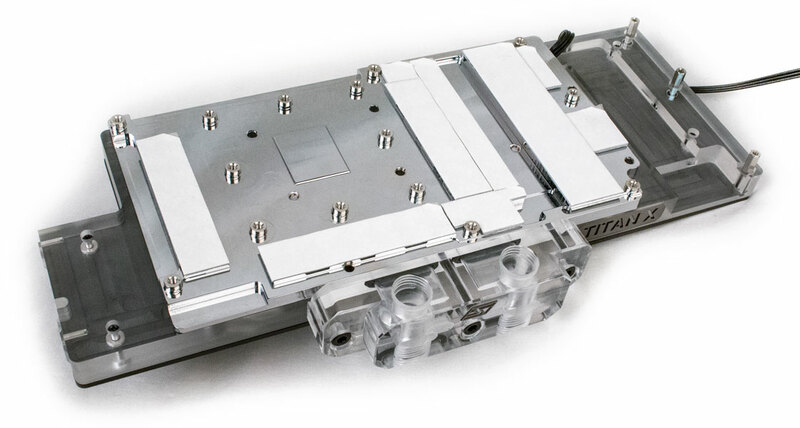 Moderate flow restriction by design The water channels are optimized for optimum flow rate in order to take into account multiple waterblocks in the same loop; additionally, the high efficiency of the thermal design authorizes better thermal performance at low flow rates. Pre-applied thermal pads High conductivity thermal pads and reusable high performance gap-fillers are pre-applied to the memory, VR and other components; there is no need to waste time cutting thermal pads as is often the case with competing solutions; our high quality Tim-Mate™ 2 thermal grease is included with the water-block for application to the GPU area. 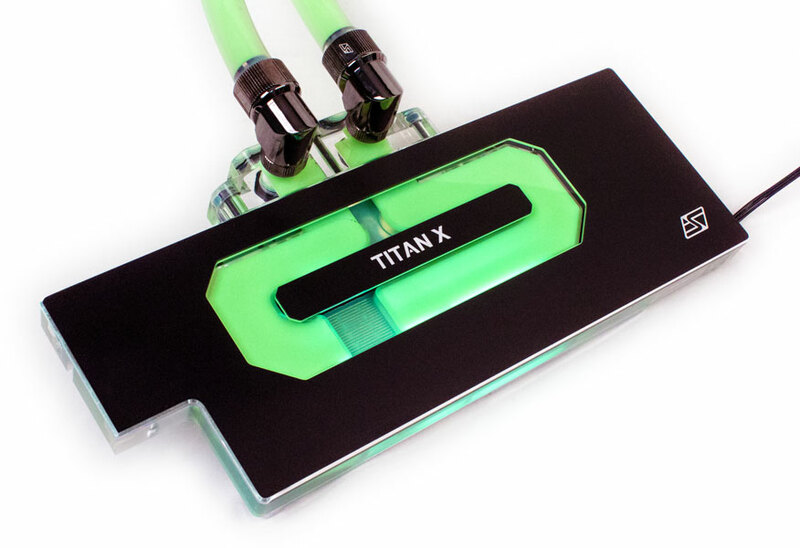 While Nvidia does not officially support more than 2 cards in SLI, up to four Komodo NV-LE GTX Titan X waterblocks can be interconnected using either Lok-Seal™ adjustable connector fittings, or our new upcoming generation of SLI bridges (to be announced). The KOMODO-NV-LE GTX Titan X is compatible with Nvidia reference PCB designs GeForce titan X (Pascal architecture) and GeForece GTX1080 Ti (reference PCB PG611). The PCB revision number represents the deciding factor to go by when selecting your Swiftech product,rather than the brand and/or model number of the card. Nvidia reference design boards normally bear the Nvidia logo, with the PCB number positioned directly below it. Please carefully inspect your card to locate the PCB revision number.